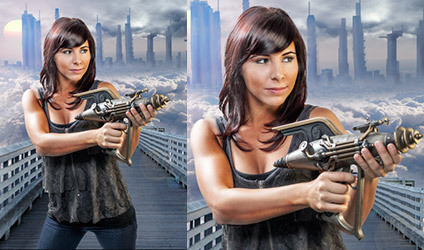 You will combine different photos together, mask them and seamlessly blend them to create a background plate to serve as the base for you composite. Learn how to use the Pen tool to make clean selections. Drop in the photos of clouds. 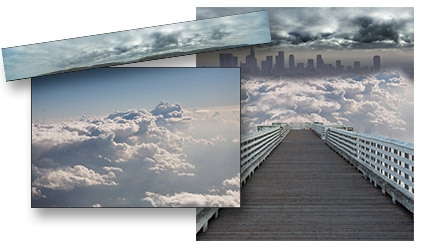 This is where you will use Layer masks to seamlessly build up your clouds. 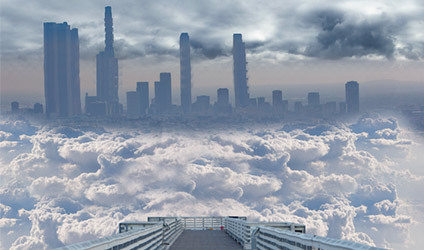 Use cloning to add some randomness and shape the bank of clouds. Take the existing city and extend the buildings and transform it into a futuristic sky scraper metropolis. 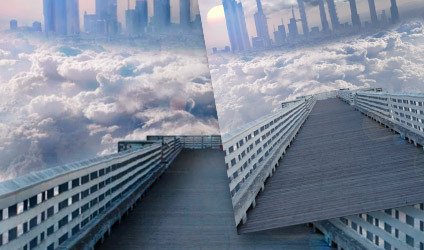 Blend the buildings in with the clouds and do some touch ups with simple digital painting. Using blending modes, drop in the image of the sun. Then make the light that comes from the sun affect the rest of the image. You just added a light source! Let's make it look real with blending modes and a lens flare. It's time to make shadows and highlights to add emphasis and digitally set the lighting. Use creative Dodge and Burn to shape the objects and add dimension to make things pop. Take the image of the model into Camera Raw and bring out the shadow and highlight detail. Do some basic retouching to remove minor blemishes. The model is in the house! 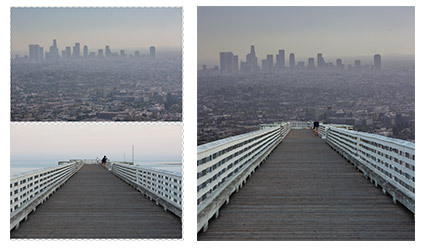 Cut out the model from the background and place the photo into the scene. You will learn how to use the quick selection and refine edge to quickly cut out a person and place them into a different background. Let's do some dodging and burning to tone the model. Make the flat image look 3D and add some mood and drama to the image. You will love this quick, non destructive method of dodging and burning, that is a little different than what you are used to and it's super quick! 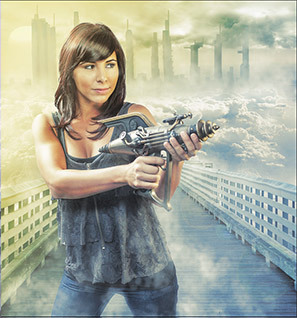 Load up the cloud brush and begin to paint in clouds and smoke to add a lot of atmosphere to the image. This is one of my favorite parts. This is where you add your personal touch to the image and make it look cinematic, comic book. movie poster or video games style. Ill show you all the tools you need in this lesson. Use non-destructive High Pass sharpening like they do in the entertainment industry. Also learn several different methods to colorize the image to create an industrial strength "color look"! 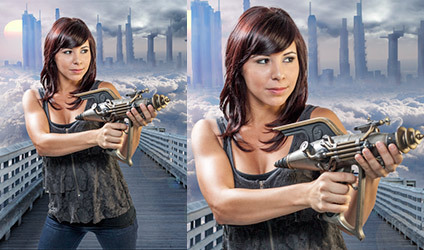 This is a must-do tutorial for anyone aspiring to become proficient with Photoshop. I’ve completed a number of Photoshop tutorials and so am familiar with the basic tools and techniques. However, there are so many nuances to every one of the Photoshop tools that only by repitition and continued learning exercises can you ever hope to become truly proficient – not ‘an expert’ – but what most of us are aiming for – “proficiency” with the basic Photoshop tools for our personal projects and/or professional skills. 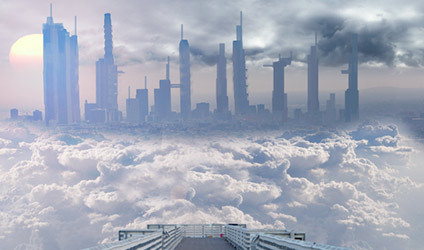 Colin’s SkyCity project is a wonderful and rewarding exercise to refresh those Photoshop skills and learn new ways to apply them. This is one of the best project-oriented PS tutorials I’ve come across and is complete with all the downloaded components you need to follow along and then repeat the project on your own to burn in the lessons learned. Well worth your time and bucks for this tutorial. 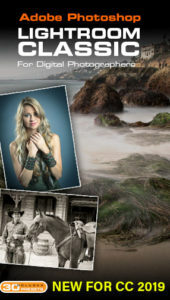 And big thanks to Colin for all of the free tutorials and tips he continues to send out to Photoshop Cafe members.